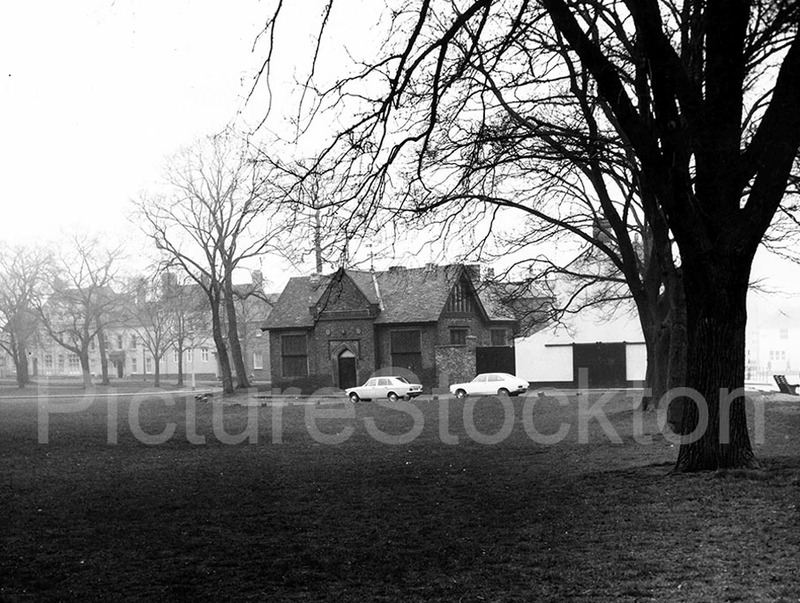 A view of the old National School on The Green in Norton, 1975. Athol Sholto Douglas was indeed a Dental Surgeon, good to hear from you guys after such a long spell. I did not know Mr Douglas had been in 2nd Norton Scouts. He and C.V Armitage gave me my references when I left the Norton Practice in 1951 for Leeds Dental School. hear the Band coming up Juction Road with a very smart Drum Major leading. I also remember Dickey Downs QM Sgt. Paul Lorrain bagged my uniform when I left. Norman. We had Mr Douglas for two years and he taught me a lesson that went with me all my life. Badges were what we strived for the more the better, some came easy. Dad with his own trucks taught me rope work, splicing, knots how to tie a load on a truck using the rope as block and tackle. Aunt Mabel was a Herbalist who knew every plant that grew in wood and hedgerow plus what it was good for and we had animals of our own. I was piling badges onto my arm and wanted the first aid Badge too. Going up before Mr Douglas thinking it easy he soon showed me my mistake. He then stood in front of the pack and told us in future if we thought badges easy and not doing the proper preparation he would ban us from taking them again. He told me nothing comes easy in this life always prepare carefully for what is to come. I started going to a first aid class, there were plenty of them at the time, a Nursing Sister who had been in the first war said the main problem they had was men coming in dehydrated and showed us methods including I.V. and Bag also under skin when you could not get a needle in. I passed my first aid badge. My Grandson asked what it was like in Armour in the Desert, I said think of Mum taking the Roast out of the oven and you getting in and driving it for miles. We would be away from the Garrison weeks at a time with no medic and very little in the way of a medicine box. Our dedicated Medic did not do needles or much else so when a lad went down the shout went up Frank bring your box of tricks. 150 or more miles from an Aid Station you had to do it, thanks to Mr Douglas I had learned the lesson. More memories Norman. I remember john McNally as a Sergeant he went into the DLI and was my first Guard Commander on my first guard duty at Brancepeth, he was Regimental but fair. He later became a Foreman at ICI. Major Downs in my day and he accused me of leading Ian astray, he was the Sergeant QM. I got ranted at and told I was not reliable, if I joined the army my place would be forever a Private. Major Downs left we got Captain Fiddess who promptly promoted me and in the Army I went up through the ranks to WO1, I would have loved to bump into Mr Downs with that big badge on my arm and my medals, never did though. The twins one was the Company Sergeant major and the other the Band Master, Sig Mason on the big base drum, you did not need the order to put some swagger in your step it was there, we were all proud to be Cadets plus the girls swarmed around the gates when we were on Parade. I met some of the Norton Lads in the forces Kenny York was in the 4th RTR with me, I met others in Cyprus and Germany. Captain Fiddess I met again at ICI he was Foreman of the Casting Shop, many of my Senior Managers were Ex-REME Majors we killed a few pots of coffee and plates of biscuits chatting over old times, it all got me the comfortable retirement I have today. The twins were the Marley Brothers, one went to Australia with his wife Joan Nee Hall from Norton Avenue. They came back after they retired and lived on our estate. Bob Died around 11 years ago. My Sunday School and over the years had many uses. It amazes me it is still standing after my old school Norton Board built in 1872 has gone along with William Newton that I saw built, I went to school with the First headmasters children Ruth and Bruce Edwards, they lived in the large house at the top of Bradbury Road. The Grammar, Secondary, Richard Hind and many other Town School have vanished over the years yet the first of them all is still standing. My last view of the inside was taking my Great Granddaughter to dance class for two years some time ago, nothing much seemed to have changed apart from a coat of paint. It was full of memories in that my Father attended the Board School and went to the Hall as we called it for Sunday School. I am sure it will still be there years from now unless they rip up the Green and make it one large car park, dread the thought. This building was the home of 2nd Norton Scouts in 1938-39 I took my Scout Oath there along with Bill Darney. The Scout Master was killed serving in the 1939 war. George ——– second in charge survived. I lost touch during the war. Second Norton is now never mentioned as far as I know. Norman Kidd Peewit Patrol 2nd Norton. Norman, 2nd Norton amalgamated with the 1st Norton scouts some years ago and is known now as the 1st Norton scout group. They had their neckerchiefs changed so as to show both groups. Second Norton moved to a wooden cabin in the dip at Ragworth, there are two Tower blocks of housing there now. I was a Peewit as well, the Scout Master had gone in the forces and we had a chap who was a Dentist until he went in the RAF Mr Douglas and we went into a loft over a Garage of one of the big houses overlooking the Pond on the Green. We were there until I lied about my age and joined the Army Cadet Force at thirteen, you were supposed to be thirteen and a half. I then lost touch with the 2nd Norton Scouts there were only a few of us left by then. “A” Coy 8th Cadet Battalion where I stayed until joining the Army at 18 and many years later joining ICI. The medical facilities at ICI Billingham were second to none, so I went to the Dental Practice and a mutual recognition of my old Scout master. We talked over the old days and what appeared to be the demise of 2nd Norton. My Dad was a member of 1st Norton during the first world war. I sent my Gazette Tokens to them this year so they are still going strong. My memories of the Scouts was weekend camping in Hawse’s wood, lighting fires cooking our own food I passed my cooking badge there one weekend thanks to Mothers bottle of stock she put in my pack for the stew. Going up to camp sites in Durham on the back of Dad’s open truck and drinking the water from streams, none of that would be allowed under todays H&S. The National School movement was founded in 19th century England and Wales by the National Society for Promoting Religious Education. These schools provided education, in accordance with the teaching of the Church of England, to the children of the poor. The National School Society was set up in 1811, to establish using the educational system of Dr Andrew Bell. The aim of the National Society was to establish a National school in every parish of England and Wales. They provided the first near-universal system of elementary education in England and Wales. The schools were usually next to the parish church, and more often than not named after it. Under the Education Act 1944 (“the Butler Act”) these schools became funded by the state but still able to promote the teachings of the Church of England, eventually they were absorbed into the state system.